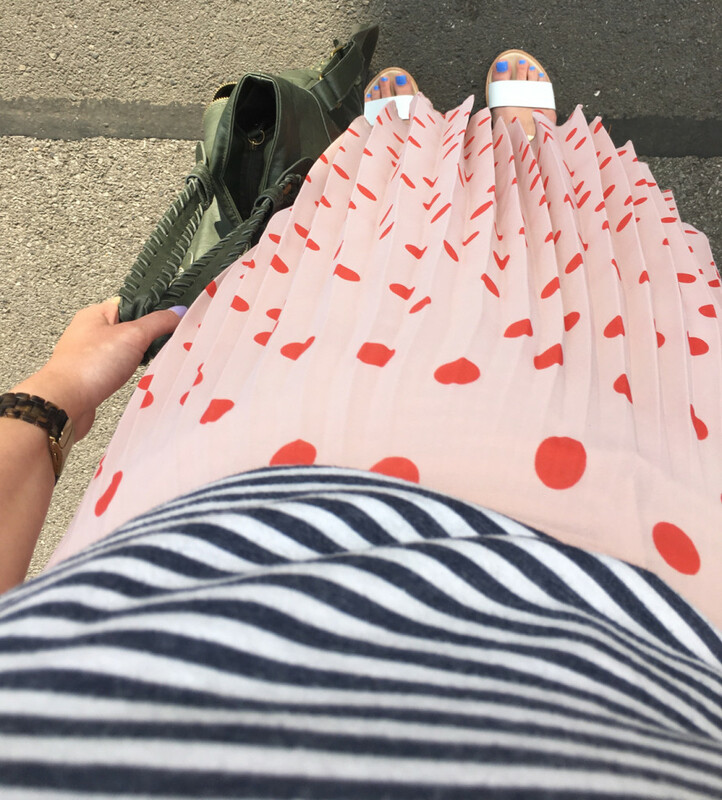 I have seen countless fellow bloggers prancing around in their versions of this midi skirt and I figured it was about time I tell you why everyone has it, loves it and wants to show it off. Because, let’s be honest, it’s bloomin’ gorgeous. 1. First up, let’s talk about the whole polka dot situation it’s got going on. They’re not just any old polka dots, oh no, these ones are a bright coral. 3. IT’S A MIDI SKIRT!!!! 4. The pleats give good twirl factor which I like to film and post on Instagram. Go follow me by the way. If you watch my Instagram Stories you’ll see more than just #fromwhereistand! 5. It goes with anything. Probably. Because in my world I have no qualms about mixing colours, prints or patterns. Hence the polka dot skirt with the striped tee. The good news is its in the ASOS sale for £24.50. The bad news is they’re low in stock and only have size 10 left. Go shop!